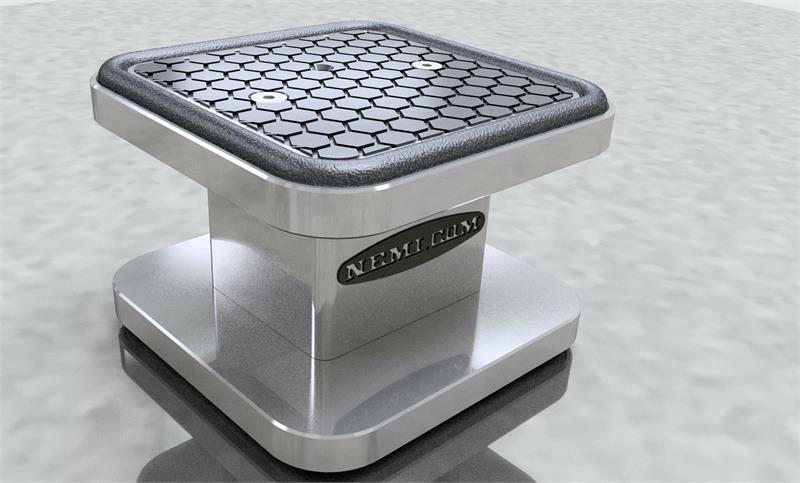 The NEMI Square Vacuum Pods are the ideal OEM replacements for Breton, Park, Intermac, Northwood, Brembana, Bavelloni and most any other machine. 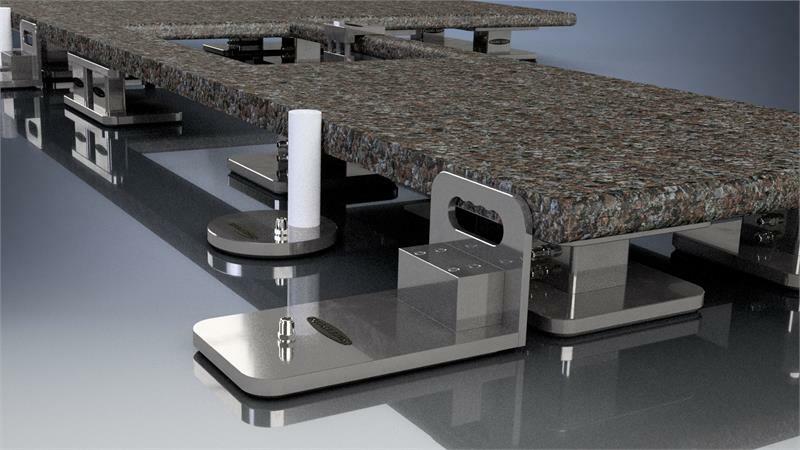 The unique Cross Hatch friction pads provide maximum vacuum flow throughout the entire surface rather than just one or two channels thereby utilizing both maximum vacuum and friction! 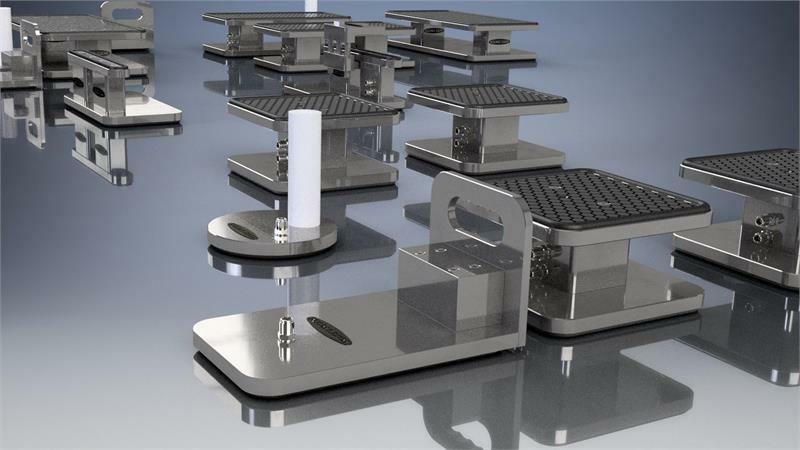 These pods feature quick change tops and bases for easy replacement of damaged parts. Add “-T” to part number for strap clamp base. Pods ship with 8mm fittings unless otherwise specified. Proudly made in the USA! ".....the seal design is much better. Our previous pods had a very small (about 1/16”) round O-ring for the bottom seal. Any kind of “mar/scratch to the aluminum table would create a vacuum leak. "